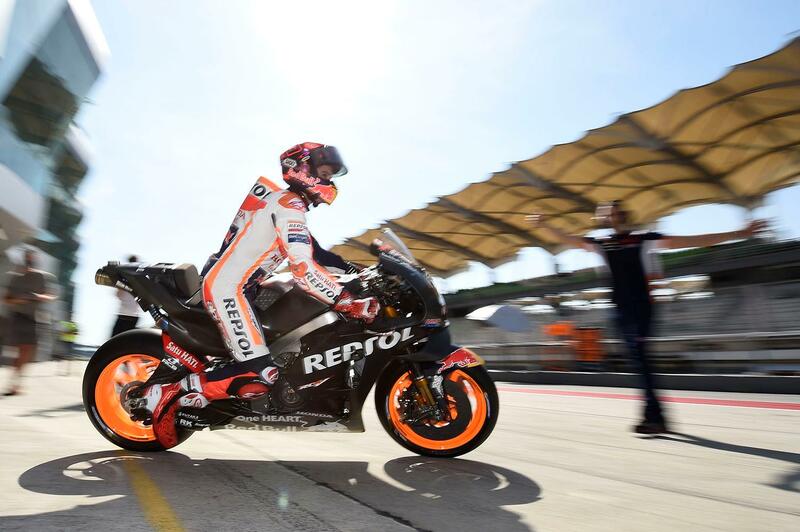 Marc Marquez has silenced doubts about his fitness ahead of the 2019 MotoGP season by topping the first day of pre-season testing action at the Sepang circuit. The Repsol Honda rider has been battling to reach full fitness ahead of the start of the season after undergoing shoulder surgery in December, but showed his fitness with a lunchtime lap time to end the day a quarter of a second ahead of Alex Rins. Rins was ahead of the first of the newly-unveiled Monster Yamahas in the shape of Maverick Viñales, with the upbeat Spaniard confident that modifications to their M1 machine has worked to reduce the issues that’s plagued them for two seasons now. Tito Rabat, also returning from injury, was a strong fourth, top Ducati ahead of Danilo Petrucci and the second Yamaha of Valentino Rossi. 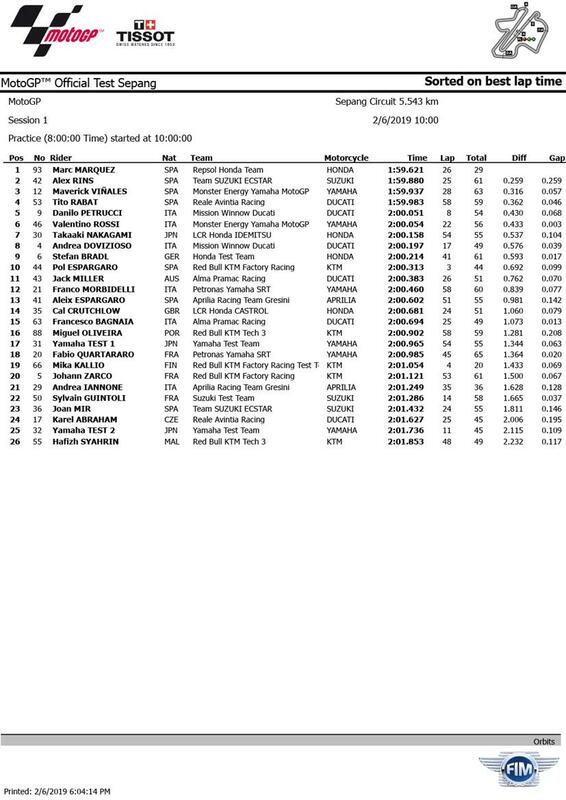 Brit Cal Crutchlow, back on the bike for the first time since shattering his ankle at Phillip Island in October, was 14th overall, happy with his progress as he found his way back to race pace. “I feel good. It’s really nice to be back out there on the motorcycle and working with the LCR Honda team and the HRC again. I thought it was going to be a difficult day, but I was honest about how it was feeling. The first laps were so strange, I went around the track thinking I was doing a 2’01, but I was in the 2’08s or something!